Alcatel delivers its best phone ever with the Idol 4S. I (Jen Karner) am writing this review after using the Alcatel Idol 4S for two weeks. It's running Android 6.0.1 with the July 1, 2016 security patch (build number 4AGB-UEB10.) It was connected to the AT&T network in Halethorpe, Md., and the great Baltimore Metropolitan area, and was connected via Bluetooth to a 2015 Honda Fit. The back is smooth glass, with minimal branding. The only thing that protrudes noticeably from the back is the rear camera lens. While there is a fingerprint sensor set into the back, there isn't any indentation. Instead, you'll be able to locate it by the metal ring that surrounds it. And it's reasonably ergonomic too, even if you have smaller hands. The boom button lets you trigger certain actions when within apps, or when your phone is locked. From the front, the phone looks pretty similar to many other rounded 5.5-inch handset (particularly some of Samsung's recent devices.) One of the biggest differences comes in the buttons layout. That's because along with the power button on the upper left, and volume rocker on the upper right, you'll find the "Boom" button — a circular key in the middle of the right side. The boom button lets you trigger certain actions within apps, or when your phone is locked. This includes doing things like launching your camera when the device is locked, or triggering specific actions like a weather preview. It's a nifty feature that enhances the experience, but isn't entirely necessary and can be ignored if you so choose. It also really, really looks like a power button. Alongside the standard Micro-USB and headphone jacks down below, you'll also find a slot for your micro SD card on the upper left corner, just underneath the power button. And at both the top and bottom of your screen you will see small discrete speaker grates for the Idol 4S's impressive audio system. You don't need to jack up the volume all the way to get fantastic sound when listening to music, or sharing videos with friends. Those speakers really get the job done, too, with support for Hi-Fi audio and stereo output whether the phone is facing up or down. That's right, they'll fire out the back of the phone too. Aside from that you don't need to jack up the volume all the way to get fantastic sound when listening to music, or sharing videos with friends, which is great. The display is impressive, too, with a 2560x1140 pixel resolution that rivals some more expensive smartphones. So naturally there's plenty of pixel density to go around, and I also found it bright enough to use in outdoor conditions — although you'll need to watch out for increased battery drain at higher brightness levels. And storage-wise, there's 32GB of internally, which can thankfully be augmented using a microSD card for plenty more storage to keep your games, photos and music loaded locally. Alcatel specifies that the slot can take cards up to 512GB. For now, the Alcatel Idol 4S is reasonably up-to-date software-wise, running Android 6.0.1 Marshmallow right out of the box with the July 2016 Android security patch. We're on the cusp of Android Nougat, but Marshmallow still gets the job done, and Android 6.0.1 performs really well on the Idol 4S. While it doesn't come in bogged down in tons of bloatware, there are a fair few apps that come preloaded. Several of these revolve around VR, because the Alcatel Idol 4S comes packaged within a Google Cardboard headset. You'll find a few games, a VR launcher and a VR store where you access new virtual experiences. Preloaded VR content helps you make the most out of the bundled 'Cardboard' headset. An added perk is the addition of the Waves Maxaudio app. This phone has Hi-Fi audio, and the app lets you manually adjust how things sound. You can tweak stereo, bass, treble, and even set specific settings for different genres of music. You also get access to an app called Fyuse, which allows you to take seriously epic movable photos (when it works correctly, anyway). Cameras have become integral to the way that many of us use our phones. Whether it's rolling through Instagram and taking selfies, or recording video of friends at parties, having a camera that works well is a necessity. Thankfully, the Alcatel Idol 4S does a great job here, with tons of software features, and cameras that do a great job capturing memorable moments. There's a 16MP rear facing camera, and an 8MP selfie shooter. Both function quite well, though they do have a tendency to blur if you aren't holding your hands still. Usefully, you can actually open up your camera, even if your phone is locked pressing the Boom button on the side. Alcatel gives you plenty of options with the camera as well. You've got auto, panorama, and manual modes, slow motion videos, Fyuse, and micro-video. Each one is chock full of features to let you get the best results in different situations. The Fyuse mode lets you take photos that you can actually look at from multiple angles, but it did have problems about half of the time when I tried to use it. Aside from showing people how it worked, I more or less left this function alone. In manual mode, all of your options appear on the right side of the screen and let you adjust them on a slide bar. Panorama functions will show you a preview of your photo as you take it, and even the auto mode has basic sliders you can tweak up and at the top of your screen. So long as you can get used to having to hold very still when taking photographs, you'll be quite happy with the results that you get. The Acatel Idol 4S is equipped with a 3,000mAh non-removable battery. In my experience, it's capable of taking you through 12+ hours without needing a recharge, even with heavy use. When it does come time to fuel back up, you've got access to quick charge capabilities which means you won't be stopping for too long. Even when I was moving between multiple games, or out for a walk playing Pokemon Go, I could count on having hours of gameplay without having to stop and let the phone recharge. When that time finally did come, I didn't need to plug it in for more than about 90 minutes because it supports Quick Charge 2.0. Even using the Alcatel Idol 4S heavily, I never once managed to actually run completely out of juice. Even using the Alcatel Idol 4S heavily, I never once managed to actually run completely out of juice. The lowest I got was about 5% and that was usually at the very end of my day, as I was headed to bed. For regular or light users you can expect to get through a solid 16 hours without issue, heavier users should expect 10-12 hours of use. That's about standard for a phone of this size in mid-2016. This brings us to the big question with the Alcatel Idol 4S, should you buy it? Between the battery, screen, and camera you're looking at a solid phone that can easily get you through your day without ease and it doesn't have a killer price tag attached. You can pick it up from Alcatel directly for $399, which is a pretty sweet deal. Considering that you also get a fantastic VR headset with your phone, you can go far with this phone. It isn't a flagship device, but Alcatel has worked their butts off to offer a fantastic device that is affordable for many people. 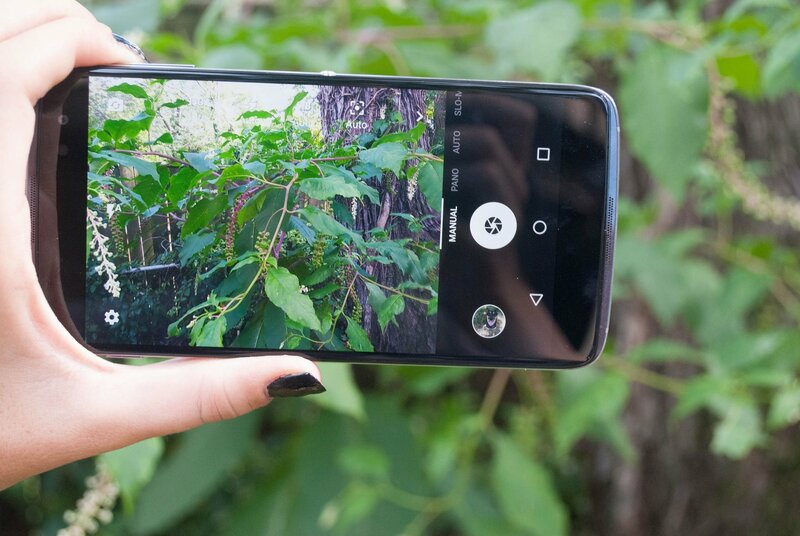 Sitting as a mid-grade phone, you've got plenty of options, but the Alcatel Idol 4S is a good choice for anyone who values photo and audio quality, as well as a great overall experience.